PROJECT MANAGER/DIRECTOR: Dr. Harvey H. Harper, P.E. 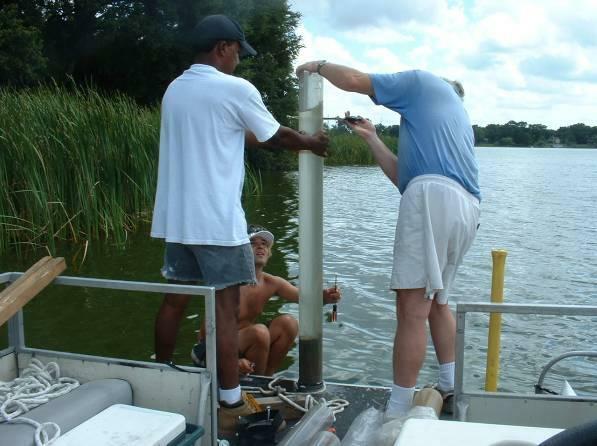 During 2003-2004, ERD performed a detailed hydrologic and nutrient budget for Lake Holden, a 266-acre land-locked waterbody located south of downtown Orlando. This project provided an update to an original nutrient and hydrologic budget for Lake Holden prepared by ERD during 1991-1992 to incorporate changes which occurred within the watershed, including significant stormwater management projects, over the past decade. During the initial phases of the project, ERD developed revised bathymetric and sediment muck depth maps by conducting more than 200 physical probings of water depth and sediment thickness throughout the lake. Sediment characterization studies were also performed by collection of 44 separate core samples within the lake which were analyzed for physical characteristics, nutrients, and phosphorus speciation. Isopleths of sediment characteristics were developed, and the phosphorus speciation isopleths were utilized for a subsequent alum sediment inactivation project within the lake. A historical review of water quality data for the lake was performed, and trend analyses were presented in both graphical and tabular formats. A hydrologic budget was developed for Lake Holden which included inputs from stormwater runoff, direct precipitation, and shallow groundwater seepage. Direct precipitation inputs were based upon measurements performed directly by ERD using a recording rain gauge within the watershed. Shallow groundwater seepage was evaluated using seepage meters which were installed in both shallow and deep areas of the lake. Composite stormwater runoff samples were collected using automatic stormwater sampling equipment at the 7 largest sub-basins discharging into the lake. More than 40 separate stormwater samples were collected during the monitoring program and analyzed in the ERD Laboratory. This information was used to develop a nutrient budget for Lake Holden. 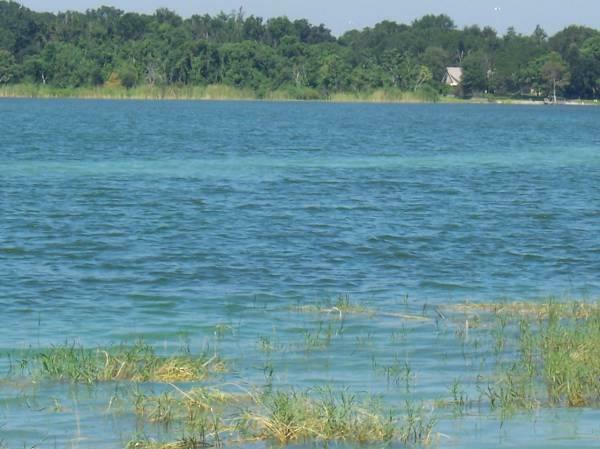 This nutrient budget indicated that internal recycling was the largest contributor of phosphorus loadings to the lake, and a sediment inactivation project was recommended and later performed. Other BMP alternatives for improvement of water quality were also evaluated, including conceptual and O&M costs.